Swale Divers - Want to Join? 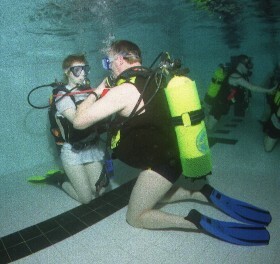 Swale Divers welcomes any new members regardless of age (subject to the BS-AC minimum of 12), location or ability. We will gladly accept everyone from complete beginners to already trained BS-AC divers or divers trained with other agencies. We do however ask that anyone under the age of 18 has a diving parent or guardian as a meber of the club. Your first year's fee will depend on when you join. Swale Divers have a common renewal date of 1st May so your first years fee will be proportional to take you to the next May. 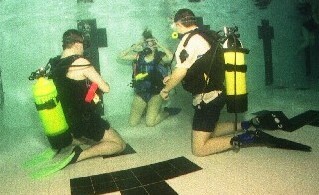 Your first year's fees include membership of the BS-AC, membership of the branch, use of Sheerness swimming pool during the club meeting, use of the club SCUBA equipment for the period of your Ocean Diver training, manuals and other training materials and access to the club boat - Swale Diver. BS-AC operate a discount scheme for 'abated members' this is so a second member in a family e.g. a spouse or child.